OXFORD, Miss. – Sarah Mason is bringing fresh energy to the Center for Research Evaluation at the University of Mississippi as its new director. In barely over a month on the job, Mason is reaching out to the UM, state and regional community, reminding longstanding partners of the broad spectrum of high-quality research and evaluation services the center offers and introducing the center to possible new collaborators. Established in 1999, the Center for Research Evaluation, or CERE, works with local, state and national organizations to learn more about the impact of their work. Housed in the Office of Research and Sponsored Programs since February 2018 and based at the university’s South Oxford Center, the center also partners with UM researchers and faculty. Notable clients have included the U.S and Mississippi departments of Education, the National Science Foundation, and local and national foundations such as the Mississippi Teacher Corps and the Phil Hardin Foundation. “There are organizations all around the world that try to do good,” Mason said. “The problem is having a positive impact is a fairly complex thing. It is not really enough to assume that simply because you have good intentions, you’re actually having a positive impact. The evaluations are accomplished through a range of research methods, from observations and focus groups to surveys and interviews. Some of the biggest questions to answer, Mason said, are: What are these organizations or agencies hoping to achieve with their programs? And how does this compare to what they do on the ground? Mason arrived at the university in late December, so she’s new to campus. But as an Australian, she also is relatively new to the U.S., though she spent two years at Claremont Graduate University in California earning her doctorate in psychology with a specialty in evaluation and applied research methods. 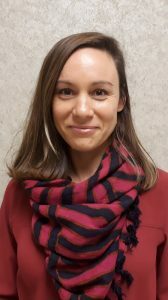 She also earned her master’s in evaluation and applied research methods from Claremont Graduate University, a master’s in development studies from the University of New South Wales, a graduate diploma in early years education from the Queensland University of Technology and a bachelor’s in political science and international relations from the University of Queensland. She most recently worked as a research fellow and lecturer for the Centre for Program Evaluation at the University of Melbourne. Born outside Brisbane, Australia, in Karalee, Mason spent her early career in international development, working for a number of years with aid programs around the world, including in Afghanistan, Cambodia, East Timor, Myanmar and Thailand. Her interest in evaluation emerged while working in Afghanistan, she said. She was spending time writing reports for grants, telling individual success stories, but became curious if the work was having a large-scale effect. That’s when she realized there was an entire field dedicated to evaluating such endeavors, and she decided evaluation was what she wanted to pursue. Mason is bringing that passion to Ole Miss, and her and her husband, Peter Love, a software developer who will work remotely, have settled into Oxford quite nicely, she said. Mason learned about the CERE opening through two advisers on her dissertation committee at Claremont. Soon, she was contacted about the position, applied, interviewed – including an on-campus interview – and was offered the position. Another attraction was the fact that the evaluation center was based at a university, Mason said. “There are not very many evaluation centers housed at universities throughout the world, and I think when they are placed at universities it is this really unique connection,” she said. CERE is in a position to do great work throughout Mississippi and the region, Mason said. Individuals or organizations interested in the center’s work can contact the staff at cere@olemiss.edu. “I would like for the center to continue growing in ways that support communities in Mississippi,” Mason said. “Ultimately, I would like for the center to be seen as a place that does high-quality and innovative evaluation work that actually helps decision makers … use the information we provide to improve their programs.